The City of Windsor will be bringing a piece of its past to life. By a 7-4 vote, city council approved a plan to accept the donation of Street Car #351, then turn it over to a local vehicle restoration firm, which will restore the streetcar to its former grandeur. The streetcar was part of the Sandwich, Windsor and Amherstburg Railway. The car is 50 ft long and weights over 12 tons. It will then be completely restored and given a spot on the riverfront within two years. Mayor Drew Dilkens, who supported the plan, says once the restoration is complete, the city will turn to residents for ideas on where the streetcar should go. The city is hoping to use the restored streetcar as a possible vessel for selling food and drink. The plan, which has an upset value of $750,000, would have the streetcar removed from its current location on University Ave. W and transported to RM Auto Restoration of Blenheim, one of the world’s foremost restorers of classic vehicles. Once the two-year restoration project is complete, the streetcar will be moved to its to-be-determined permanent location. 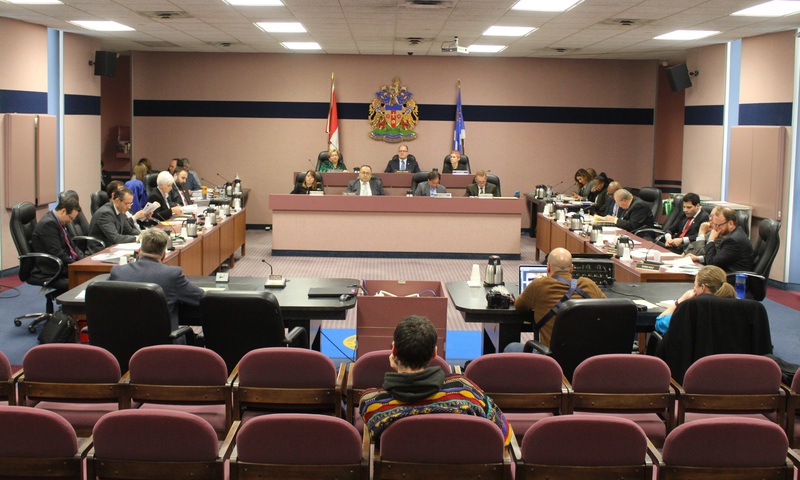 While all members of council were in favour of seeing the streetcar restored one way or another, some had expressed concern about potential costs. Based on those concerns, councillors Rino Bortolin, Bill Marra, Chris Holt and Irek Kusmierczyk voted against the motion. Dilkens calls the opposition to the plan “political hypocrisy”, considering that it was city council that approved the restoration of the Lancaster Bomber, which had been displayed in Jackson Park. “For them to suggest that sole-sourcing the repair and the restoration of the streetcar is new and something we’ve never done before, it’s not the truth,” says Dilkens. Included in the funding for the streetcar is a $116,000 surplus generated by the 2016 FINA World Swimming Championships, with the rest of it coming from the city’s 2014 capital budget placeholder, which consists of $7.2-million set aside for a new parking garage. Windsor is home to Canada’s first electric streetcar, which hit the streets in 1886. Street Car #351 was built in Cincinnati in 1918 and was put into service by the SW&A Railway in 1927. The railway expanded to include the former towns of Sandwich, Walkerville and East Windsor, then Amherstburg and Tecumseh, including over 53 miles of track on 11 routes. Mounting costs and aging equipment drove the SW&A to phase out streetcars by 1939 and convert to buses. The current Transit Windsor took over SW&A in 1977.